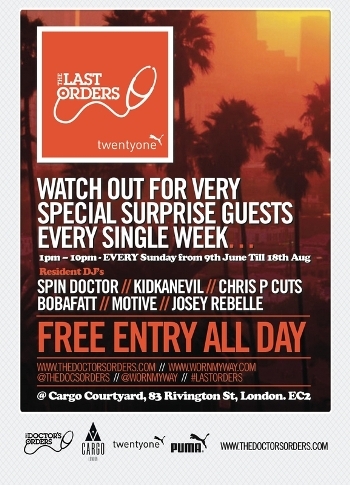 A-list unannounced surprise guest DJs from the world of Hip-Hop, Dance & beyond join residents for this new summer Sunday. BBQ & Full Menu Served all day. Kids welcome with adult until 7pm. £10 drink deals on 4 x bottled beers / 2 x House Cocktails / Bottles of house wine.